2014 went by like a blur. We have had some amazing memories in 2014, including getting married, followed by an incredible European honeymoon. We have to say goodbye to our best year yet with a bang. Believe it or not, this will be our first New Years Eve in Tampa! We have lived here for 4 years but are always out of town on 12/31. I was super excited to hear about the dual New Years Eve Party at Hard Rock Cafe inside the Seminole Hard Rock Hotel and Casino. 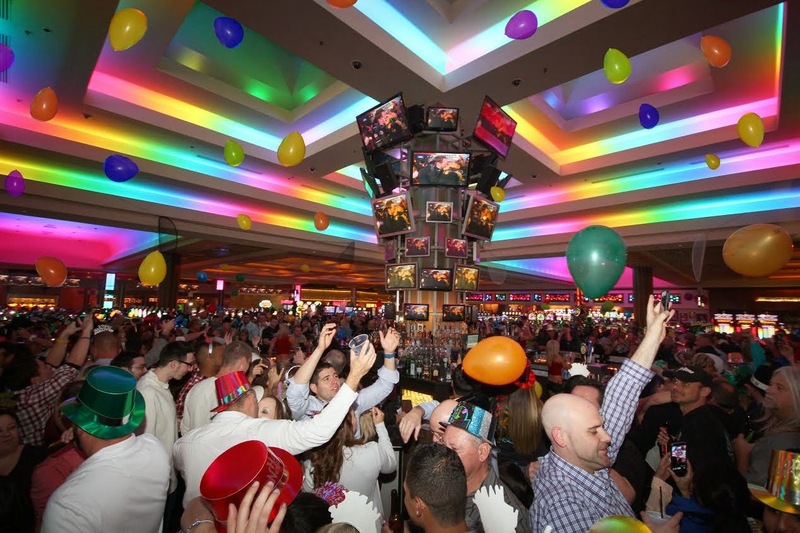 CIRQUE 2015 New Years Eve will take place from 10PM-2AM (there is an option for a 9PM VIP ticket) with Aerial Shows, Vegas Style Showgirls, LED Hula Dancers & a live broadcast from 93.3FLZ! 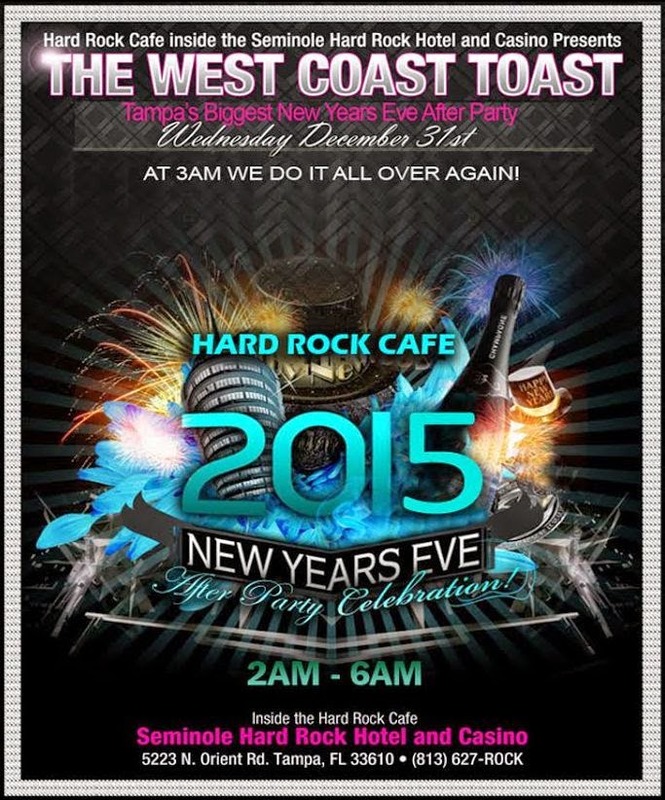 Then at 2AM, the WEST COAST TOAST After Party will take over and live as they drop the ball in Los Angeles at 3AM! This will be one of the few venues where people can celebrate New Years Eve twice in one night. There are multiple ticket options in multiple price ranges. All tickets are a 2 for 1 - so you get admission to the East and West Coast parties at one price. If you only want to attend the Westcoast Toast After Party tickets can be bought at the online price of $25. If you are able to get a group of people together, the VIP table packages are the way to go. You get a private table, early admission at 9PM for the Belvedere open bar, and a variety of drink options based on the level you purchase (all the way up to Dom Perignon!). A private cabana on January 1st by the pool to refresh; and a VIP room amenity. 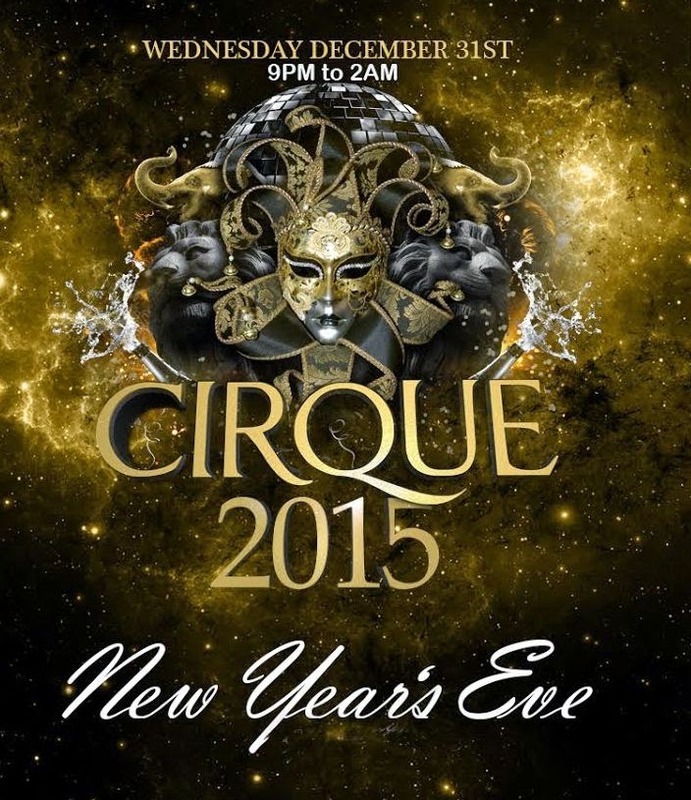 Cirque 2015 New Years Eve 9pm to 2am and the Westcoast Toast After Party from 2am to 6am. Table packages are sold as separate for each of those two events. If you would like to keep your table past 2am, you MUST reserve it, call 813-421-2582 for details and all reservations for either event.